DroneView Technologies completed a robust 2018 significantly growing the business, honing our focus/product offering and expanding the depth/capabilities of our team. Clearly more than “just a drone service company” DroneView Technologies has emerged as a market leader, providing aerial mapping and geospatial services to enterprise clients throughout the United States. With a strong internal team of professionals with expertise in photogrammetry and LiDAR processing we are able to deliver high accuracy mapping products to clients in various industries including: infrastructure, energy, airports, mining/aggregates, landfill and construction. 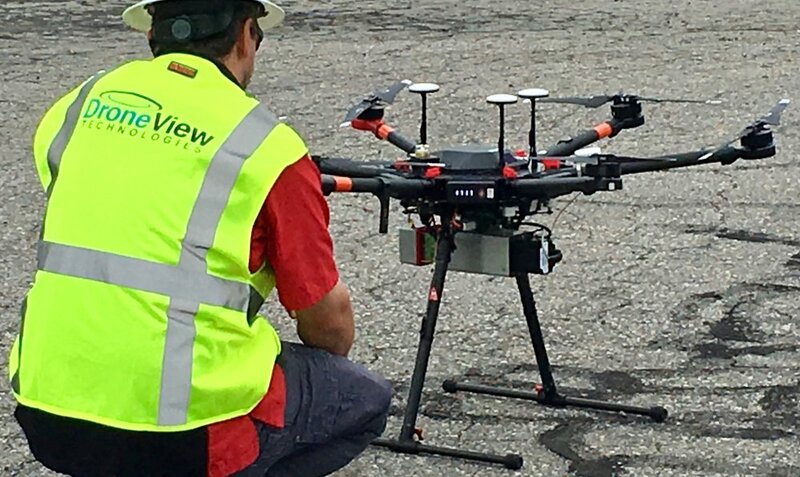 Clients have come to value the diversity of DroneView Technologies’ image and LiDAR collection capabilities for their high accuracy mapping projects. Roughly half of the projects that we completed in 2018 utilized manned image or LiDAR acquisition or mobile LiDAR. The drone product market, led by DJI, continues to experience increased performance capabilities with falling product costs, similar to what we witnessed over the last several decades in the personal computer industry. High end and very expensive drone products and sensors including LiDAR, thermal and PPK/RTK solutions are emerging into the mainstream with more affordable costs and tremendous capabilities. The drone industry “hype” is dissipating. Successful drone service providers are bringing specialized subject matter expertise to their customers and are adding real, sustainable value. Those that cannot do this are disappearing. Significant venture capital has been raised in the drone industry over the past few years ago and now the race is on for these companies to find a real and sustainable path to profitability. Drones are here to stay and will become increasingly more relevant and valuable in mainstream business workflows. Drones used for surveying/mapping will continue to be the largest market for commercial drone use. LiDAR sensors on drones will become increasingly more prevalent as their costs continue to fall. Workflows leveraging RTK/PPK solutions will become more widespread and lead to improved mapping project efficiency and accuracy. As companies move from trial drone projects to widespread use of drones in production, “hybrid workflows” will evolve - using internal company resources for some of the drone image acquisition and relying on third party providers with survey/engineering expertise to do the photogrammetric processing and create client specific deliverables. Anti-drone solutions will become more prevalent, with heightened interest at airports, prisons, stadiums, etc. Drone industry consolidation will increase through acquisition, strategic partnerships and company failures. Drone operations Beyond Visual Line of Site (BVLOS) will experience increased FAA waivers (permission) in specialized use cases leading the way for the potential in future years for drone delivery and industrial use in long corridor applications. Exploration for a viable long term solution for drone registration and tracking will gain momentum with expected implementation several years away. We offer our gratitude and sincere thanks to the many people that have helped guide us on our journey. With clarity to our business and strength in our market leading team of professionals, we are extremely excited for what lies ahead for DroneView Technologies in the upcoming year and beyond.